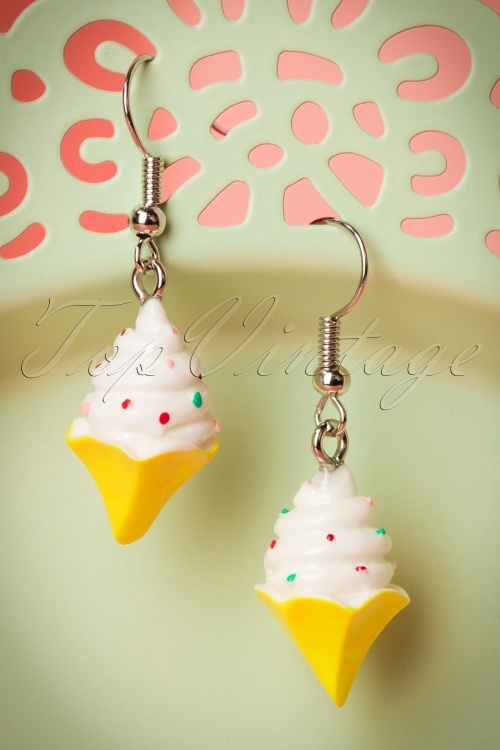 Too much ice cream is bad for you, unfortunately... but you can enjoy our 50s Ice Cream Drop Earrings endlessly and guilt free! What's the first thing that comes to mind when you think of summer?... that's right, ICE CREAM! 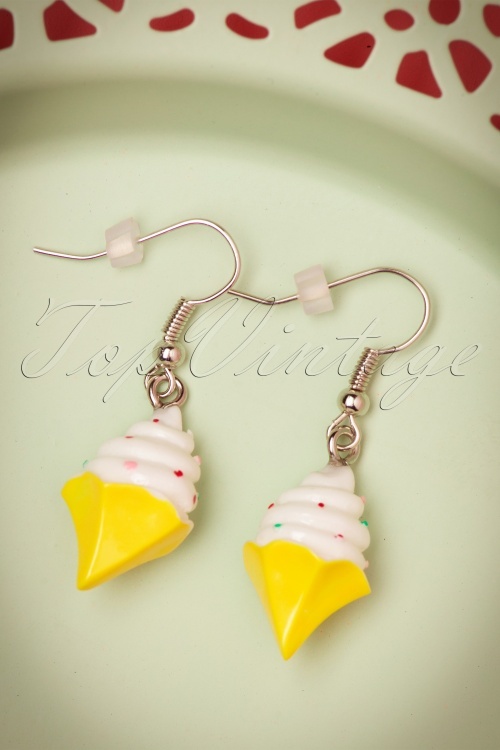 These delicious summer treats are made from silver toned metal with painted plastic ice cream cones... yummie! 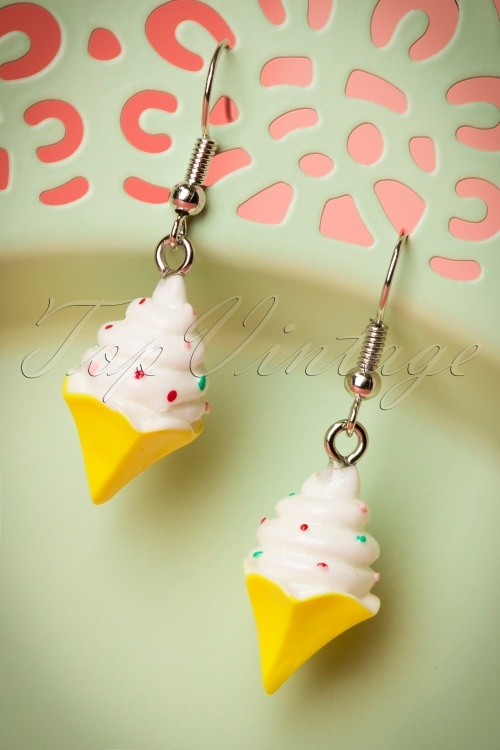 Vanilla, chocolate or strawberry, with or without sprinkles? We scream for some ice cream! Ich habe heute die Ohrringe bekommen.Die sind wirklich suss.Machen mich grosse freude.Kann mann nur empfehlen so was besonderes zu kaufen.Bitre so weiter. 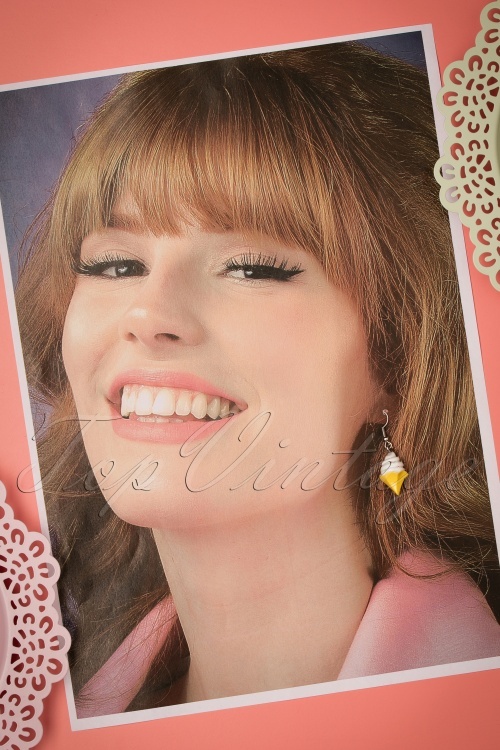 Diese Ohrringe sind wirklich süß, leicht und verspielt. Tolles Sommer-Accessoir, habe gleich noch ein paar nachbestellt. Die eignen sich auch gut als Geschenk, auch für Mädchen. Zusendung fix wie immer, süße kleine Traubenzuckerrolle war als Extra dabei, vielen Dank! Top! !